The Fairfield Inn & Suites by Marriott located in Colorado Springs, Colorado, offers an ideal setting whether travelling for business, leisure, or sporting event! Nestled at the foot of the majestic Rocky Mountains, memorable visits to Pikes Peak, Garden of the Gods, and the Cheyenne Mountain Zoo are just minutes away. Spend a day browsing the unique shops of historic Manitou Springs and Old Colorado City or the boutiques at The Broadmoor. For the adventurous, Seven Falls, miles of scenic hiking, and the rush of Royal Gorge whitewater await! You will find us conveniently located on the I-25 corridor near Ft. Carson, Peterson AFB, Memorial Hospital, the U.S. Olympic Complex, the World Arena, and the thriving bustle of Downtown. Whether it's our thoughtful amenities or outstanding value, we know what you need and deliver it with superior service from an attentive staff. 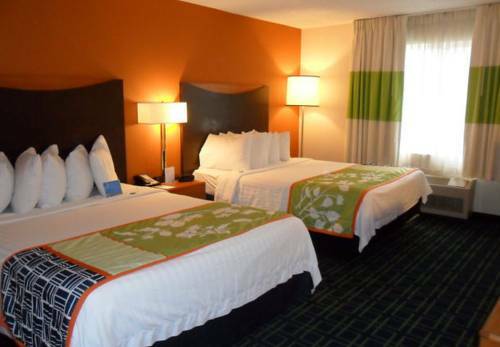 We invite you to settle in and feel at home at the Fairfield Inn & Suites!